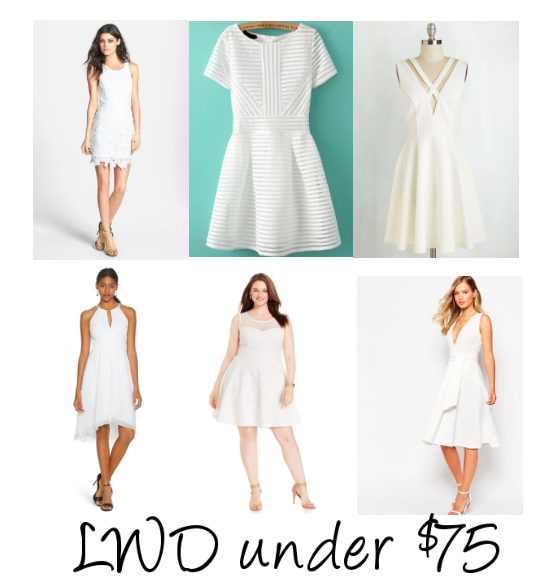 Let's talk LWD. Now that we are in the dog days of summer it is time to upgrade your little white dress game. I know, I know, I have 684 weddings to attend this summer, I can't be spending money on white dresses. I hear you and I'm here for you. All of these dresses are UNDER $75. Ladies, treat yo' self. So go ahead and splurge, actually is it really a splurge when it's this great of a deal? Think about it. The BBQs, hot summer date nights, dinner al fresco, it's LWD season.